The simplest application is the transparent radio modem. The IRIS unit receives the data from an external source and sends it to another IRIS unit that&apos;s relays it to another external system. None of the IRIS unit tries to interpret the data. This is useful for replacing serial cables and for sending data over long distances, more than 1000 meters with free line of sight. For more advanced use there are a number of possibilities. 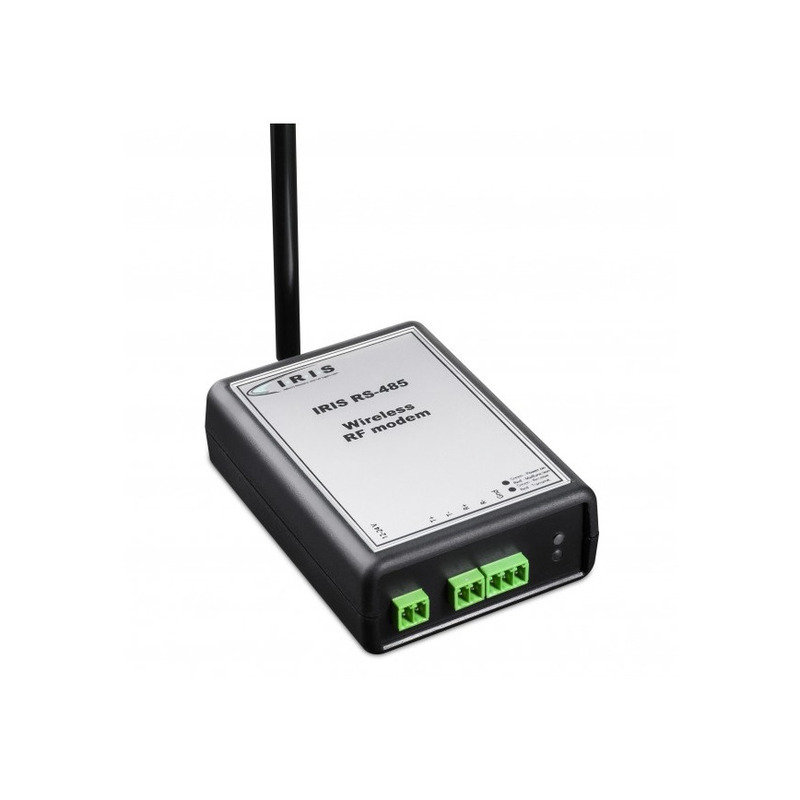 The IRIS unit can compare text received via both the radio and the serial interface with predefined strings. Wildcards can be used to replace characters in the text string. This makes the interpretation of the received text more flexible. After the interpretation the unit can take actions. There are a variety of actions. The IRIS unit has internal functions such as timers, counters, logical flags and various parameters. This makes it possible to program the units to do much more than just relaying the data.